press samples, purchased by me, affiliate linksI’ve been obsessed with CC creams over the year or so that they have been popular. 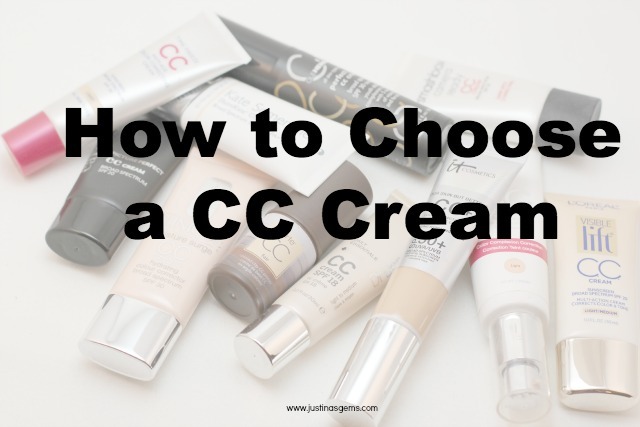 I’ve tried a bunch of them and thought I’d share some of my experiences with you so you can make an educated choice on which CC cream might be the best choice for you. 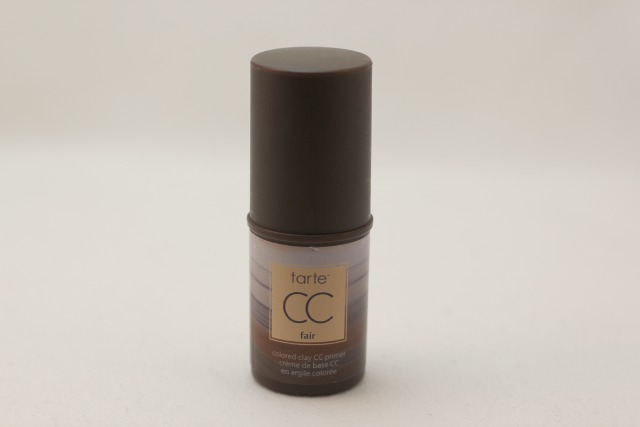 I wear CC cream year round but I feel like it gains the most popularity in the warmer months every year. This comes in four shades, and I take the lightest, which is fair. Upon application, it has a really yummy citrus scent. A little bit goes a pretty long way. I had pretty good luck applying this just with my fingers, but I ended up switching to my Beauty Blender during application because I felt it made the coverage look more seamless. It really did a nice job color correcting, and I would call the coverage light to medium and buildable. It dried to a matte finish, but still left my skin feeling hydrated. 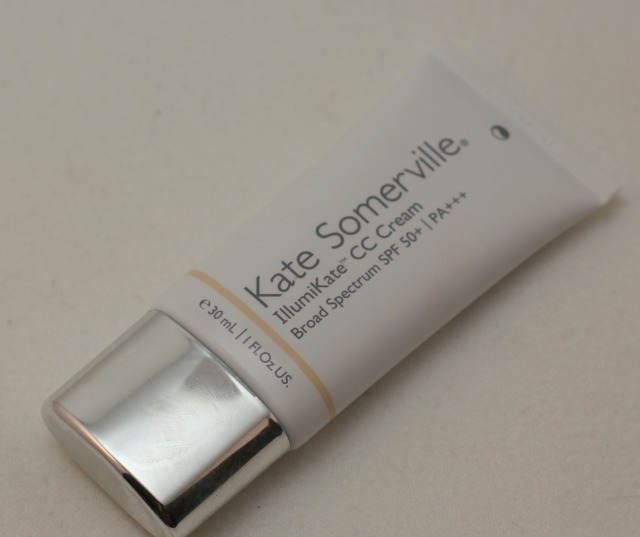 I love the SPF broad spectrum 50+ and think this will be a summer staple! I wore this with a moisturizer underneath and found that applying it little by little worked best- too much at a time made it pill a little bit with my moisturizer (which is probably why they recommend starting with a serum!) If you’re a little oily, I’m sure you wouldn’t need extra moisture. In terms of illuminating, I did sense that my skin looked a little brighter, but it wasn’t due to shimmer, it must have been by way of really great skincare ingredients. This product comes in five shades, and I take the lightest which is fair. The shade light definitely looked a bit too dark for me, although I think that’s about the shade I would take by mid summer! This is one of the more intriguing CC products out there right now. It’s not really a “CC Cream” rather a “CC primer” and I don’t think any other companies are selling this type of product right now! It’s a power, multi-tasking, skin perfector that brightens skin, evens skin tone, blurs imperfections, and neutralizes any redness or discolorations. It’s oil-free and talc-free and can be used before foundation as a color-correcting primer, or alone as light coverage. In the pictures above, I used it alone. I took three passes on each cheek, a couple across my forehead, and a swipe down my nose, under my eyes, and on my chin. I was surprised by how full the coverage seemed! Before getting my own, I tried this in store, and tried just a couple passes on my whole face. If you were going to wear foundation over top, I would suggest wearing it that way because the coverage was pretty sheer that way. If you want to wear it alone, you can get more of a medium to full coverage by using several passes over your face! I was able to easily blend this in with my fingers and was very pleasantly surprised that just one pass around the sides of my nose and under my eyes was sufficient enough to cover my redness without use of more concealer. I’m wondering if the amazing color correction was from the colored clay addressing specific needs- the purple clay is supposed to brighten dull, lackluster skin, and the green clay is supposed to neutralize skin redness. The texture really feels like a primer and makes my skin so soft. I really have to keep myself from touching my face over and over when wearing this because it’s so silky and has a lot of slip. Despite being so soft and smooth and having slip, it does have staying power and doesn’t migrate. My dry skin drinks this right up but I wonder if oily skin would have luck with this because it does have a slicker texture. The Lumene CC Cream comes in two shades, of which I take light. This is a 6 in 1 product, and is said to protect against signs of aging, nourishes, hydrates, covers imperfections, evens skin tone, and illuminates. It has SPF 20 and a major ingredient is the pure, natural seed oil from Arctic lingonberries, which are rich in essential fatty acids and antioxidants. This is a drugstore product, but I’d never know it from trying it! 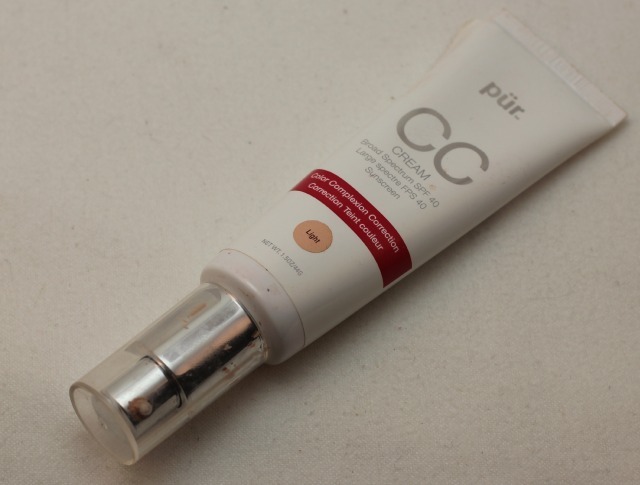 This is one of the better CC Creams I’ve tried, and one of the least expensive. I definitely think it evens my skin tone out and the coverage is buildable, but doesn’t get cakey when you add more on to your problem areas. It is a thinner formula, but still kind of creamy and definitely hydrating. The medium coverage lasts all day for me, and doesn’t need any concealer or powder to look good. It dries to an almost powdery finish on me, but doesn’t get uncomfortable or tight. This is a definite win for me! 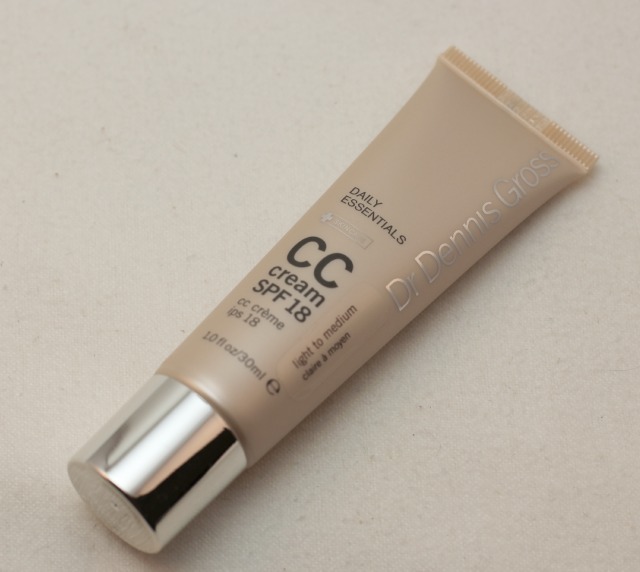 Dr. Dennis Gross CC Cream SPF 18 is available in four shades, and I take the light to medium shade. This formula has lots of great ingredients in it because it’s developed by a dermatologist! It’s a color correction cream that contains antioxidants, vitamins C and E to prevent collagen breakdown, avobenzone and octinoxate to keep skin protected from sun damage, and hyaluronic acid to keep skin moisturized and refreshed. The day I tested this product out I woke up with super red skin so I really gave the color corrector a run for its money! I thought this formula was super thin and liquidy, almost like a serum. It was really spreadable and I worked to get it everywhere it needed to go before I dried down. I started trying to blend with a Beauty Blender sponge, but ditched it when I felt the formula was so thin it was almost absorbing into the sponge and not my face. This made my skin feel so soft and smooth and almost looked and felt like a second skin. People who don’t like the feel of makeup and want a more sheer coverage will love this formula. When I looked in the mirror after applying this I thought my skin looked a lot better than when I started but it didn’t look like I was wearing any foundation. This is perfect for no makeup- makeup days and when I want a little extra coverage, I’ll add a concealer or some powder! 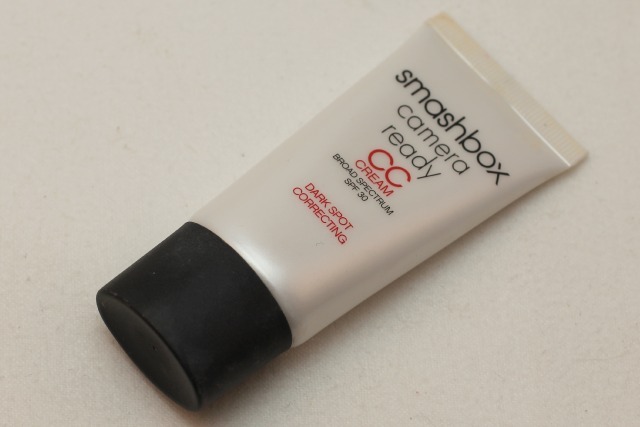 This is the product that started my CC cream obsession. This product is available in 6 shades, of which I take the second lightest shade, light. This is one of my all time favorite products and I’ve purchased it a couple times since it was released. I wore it almost every day last year, which is a testament to how much I love it! This product offers sheer to moderate coverage, and the concerns it addresses are redness, dullness, and sallowness. It provides oil free hydration and contains SPF 30. 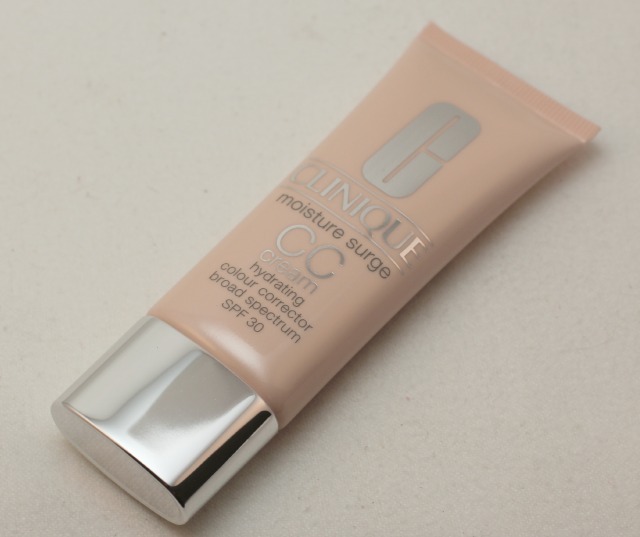 I love that this is is a member of the Moisture Surge line from Clinique, because I’m a huge fan of that formula. It’s such a skin drink! For my normal to dry skin, this formula is a dream. I love the coverage, and I love how natural it looks and how hydrating it is. This is a great buy and one of my favorites! I’m holding out for the Clinique CC Cream Compact soon! I really want to try that next! This is a new find for me but it is becoming a fast favorite. This CC cream comes in five shades, and I take the second shade which is light. This is a completely perfect match for my skin! This is a full coverage foundation, brightening color, anti-aging serum, pore minimizing primer, dark spot corrector, moisturizing day cream, plus UVA/UVB broad spectrum physical only SPF 50+ all in one! It Cosmetics is formulated by plastic surgeons, and I’m not joking when I say they sell the best of the best. I’ve never tried anything from them I haven’t liked a ton. I absolutely love the coverage this provides. As you can see in the first picture, I woke up with super rosy cheeks. This was such a skin drink for me and provided a ton of moisture that I badly needed as well as color correcting. I’m excited to try this over a long period of time to see if some of my dark spots fade. So far, I’m addicted to this and I grabbed one in medium for when I get a tan too! This was recently part of a kit which I’ll have up for review sometime shortly. Stay tuned! This formula comes in two shades, light and medium, and I’ll be showing you medium. I probably would’ve chosen light for myself, but the medium ended up working out surprisingly well considering how light I am. This product moisturizes, contains protective antioxidants, SPF, and has ingredients to ward off environmental aggressors and counteract premature aging. The texture is velvety and nourishing and it melts into the skin, improving it instantly as well as over time. The coverage is sheer and illuminating. Aside from having awesome ingredients, this smells like an orange creamsicle! Yum! I really enjoyed this product. I used a Beauty Blender to blend this into my skin and used it pretty sparingly since I was afraid it would be too dark. It actually worked out really well and really seemed to even out my skin tone. I like that the coverage was sheer and illuminating and I was able to add more to my Beauty Blender sponge and get a few areas a little heavier around my nose and mouth. This is super delicious smelling and I can’t wait until I get a tan this summer so I can try the medium on slightly darker skin! It’s very nourishing and kept my skin well hydrated throughout the day. This formula comes in eight shades, and I wear the third shade, which is light. This is a color corrector that is supposed to visibly lessen the appearance of dark spots, sun spots, and post-acne marks instantly and over time. It neutralizes and brightens skin for a more even complexion and primes, perfects, and protects with SPF 30, adds moisture, and doesn’t create excess oil. I can’t speak to whether or not this fades spots over time because I can never seem to stick with the same product long enough to find that out! But I do like the way this wears on my skin. The day I tried this for pictures I had a blemish on my cheek and I really thought this covered it well. I have tried using this with a Beauty Blender, my fingers, and a makeup brush and all ways work out well. This isn’t an overly moisturizing formula, and it isn’t drying either. I like to reach for this on days when I’m having a good skin day already and I don’t find a need to wear much else for coverage. I’ve passed an extra tube of this off to my cousin who is 10 years older than I am and she enjoys it too! This formula comes in two shades, and I take the light/medium. It comes with a lot of claims- reducing the look of dark spots, evening and correcting skin tone, brightening complexion, nourishing skin, and protecting with SPF 20. This applies out of the tube in a whitish shade and the little color burst capsules explode as you rub it in and try to blend in with your skin tone a little bit. I woke up with red skin and an uneven skin tone in general so I really gave this a run for its money! If you’re looking for any sort of coverage at all, this is not for you. In the first picture, I’m not wearing makeup. In the second picture, I’m wearing the CC cream. Do you see much difference? I sure don’t! I kept piling on more and more and I couldn’t tell that anything had changed. In the last picture, I actually did apply a little bit more face makeup of something else over top because I was on the way out the door and couldn’t bring myself to leave without more coverage. However, all is not lost. This formula does have SPF 20 and felt really nice on as a moisturizer! Just don’t expect any color correcting qualities. This formula comes in three shades, of which I have the middle shade, medium. This formula is also self-adjusting so after warming it up in your hands, it will adjust to your skin tone. 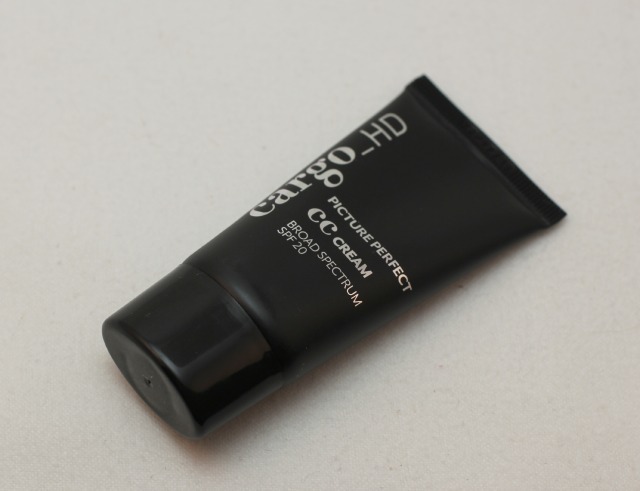 Cargo has a lot of HD products so I was curious how I would feel about their CC cream! I think the medium was just a touch too dark for me and left the slightest orange cast but in the summer this will be my perfect shade. I thought it was moisturizing without being too much and nothing settled into my fine lines which was a huge plus. I really liked the way this worked and it renewed my faith in self-adjusting CC creams! The coverage was sheer to medium. This product comes in four shades, and I take the lightest, which is called light. This is a really great product- SPF 40, corrects and perfects the skin’s appearance with plant-based ingredients, brightens, is silicone-free, erases brown spots, blemishes, and fine lines while balancing uneven skin tone. It also works as not only a foundation but also a primer! Of the CC creams I’ve tried, this is probably one of the lightest light shades I’ve stumbled upon. I really love the coverage this provides and I love how light their light shade is! I felt that this really evened out my skin tone and it feels super soft and smooth. This lasts forever on my skin and has a gorgeous finish. You can use this as a primer if you want to, but I can’t imagine what you’d put on top because it’s already pretty full coverage! Great compilation! I’m with you on IT Cosmetics, they never seem to disappoint, and it’s hard to find such consistency from most brands. I wish I had found this post sooner!!!!! 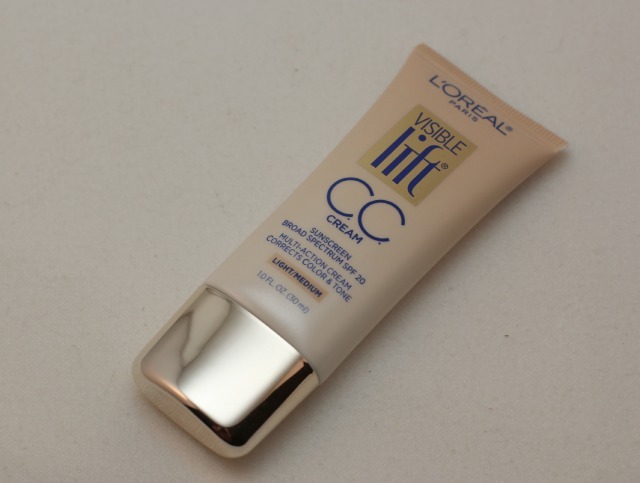 I just purchased my first CC cream (the Loreal Visible Lift) and you’re totally right, it makes my cheeks really red and there’s no coverage whatsoever. I’m a bit disappointed, but at least I started with a small investment to try something new! The tube cost less than 10 bucks and it has sunscreen in it, so it’s not a complete loss, right?! Overall, though, what is YOUR favorite CC cream? I really WANT to like CC cream, but obviously this Loreal version is not the best one for me! I would have to say my favorites are the Clinique or the one by It Cosmetics! If you live near an Ulta you can pick up the one by It, and Clinique is available at most department stores. I wouldn’t base how you feel about CC creams solely on your experience with the L’Oreal one, it’s definitely not a standard CC cream! This post must have taken forever to put together – a lot of work, and a great review of so many CC creams! Thanks for doing this! Ok, so this is the most thorough review of CC Creams that I have seen, I love the before, after and after makeup pictures! Thank you for this post. 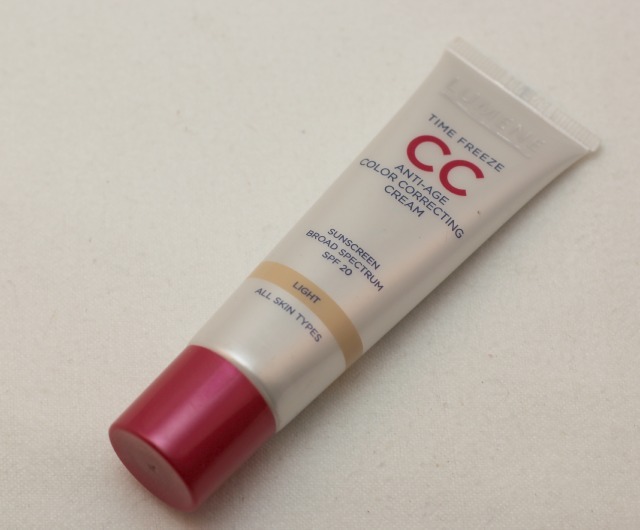 It Cosmetics is my favorite, but admittedly, the only CC Cream I’ve actually tried so far! THIS will be my guide if I decide I need to try another one. Thank you! All hail It Cosmetics! I have to force myself to use any other CC/BBs these days! Great post. 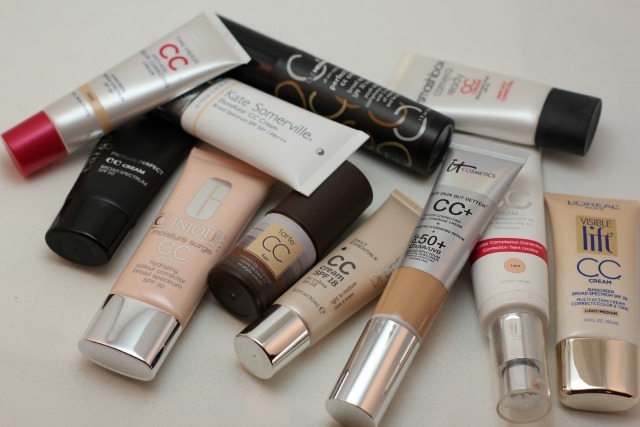 I’ve only tried one CC cream, which is by IT Cosmetics. I find there are very few brands that cater to darker skin tones, so I’m left with using a lighter shade as a primer. I love how the Tarte looks! VERY informative post! Kudos 🙂 Thanks for breaking them down like this. Just another example of why I seriously need to try It Cosmetics products! This is the BEST compilation of CC creams I’ve ever seen! Thank you so much for posting this! I see my faves (IT, Ole and Tarte!) and a few that are now on my to try list!! I really want to try the Kate Somerville one! I think I like IT Cosmetics best. They always have the best products. Awesome post. You have a great list of products here and I’m sharing this with a few friends of mine who are on a CC cream kick too. There are SO many choices….and this is just CC creams!!!! Awesome list! I love my IT Cosmetics! I love the It Cosmetics CC+ cream because the coverage is so great. Great post! Thanks. I am going to have to try one or more of these. You have been compiling these posts for a while! 🙂 Great looks. Love the Lumene CC.. It is actually one of my favorites. A lot of those seem to have very good coverage ! Excellent article. I enjoyed this immensely. Your assessments are great. I’m a big fan of so many of these especially the IT and Pur. This is a very insightful post!!! I have tried quite a few CC and one thing that seems to be common is that they oxidize on me so bad. Wow, this is definitely a post to pin and refer back to, nice work! Great post.I have the tarte cc primer and didn’t like it much, maybe I’ll give it another shot, the IT Cosmetics one looks great. Great job on this post. Ive been using the Tarte one daily and love it. Hmmmm I think it was a close tie between the Lumene CC and the IT! Cosmetics CC cream. I was leaning towards the Lumene CC more. Great article! Loved it! Wow! These are some great products but now how to choose one for myself! I tried CC cream for the first time recently and definitely want to continue using…it makes such a difference. There are definitely a few on this list that I want to give a shot! Thanks for doing all the work! You have such beautiful eyes. Thank you for the thorough review! CC Creams seem like they are the bees knees! Too bad they dont make any good ones for WOC. wow love this post and the fact that you took before and afters for all of them! 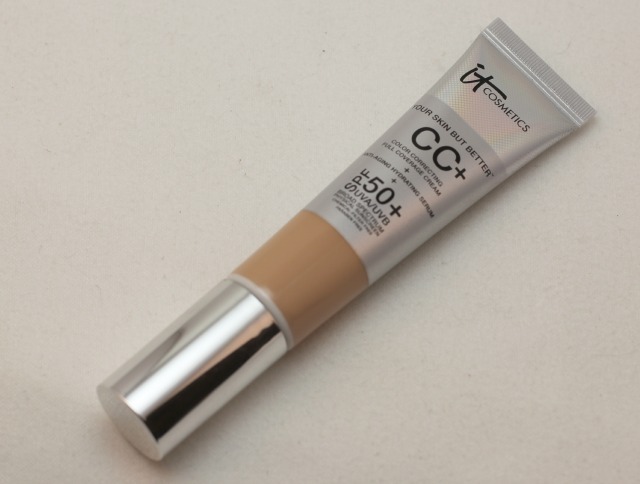 i personally love the IT Cosmetics CC cream !